HAIR – BEFORE AND AFTER. Nanoil hair oil, regardless the type of hair it’s destined for (low porosity, medium porosity, high porosity), effectively takes care of the strands and the scalp of each of us. Thanks to this beauty product, your hair will again become stronger, prettier and healthier. You will never again bother about the split ends, greasy scalp, excessive hair loss and the negative impact the external factors have on your hair. The outcomes of the treatment will surprise you in a positive way. Nanoil hair oil contains plenty of valuable substances. The content of each product’s version differs; they were composed to take care of hair and the scalp in the best way possible. Nanoil for high porosity hair is made from Almond Oil, Argan Oil, Evening Primrose Oil, Avocado Oil, Marula Oil and Cotton Seed Oil. Nanoil for medium porosity hair contains: Macadamia Oil, Argan Oil, Marula Oil, Jojoba Oil, Maracuja Oil, Coconut Oil. Nanoil for low porosity hair features Siberian Pine Oil, Coconut Oil, Argan Oil, Castor Oil, Shea Butter, Maracuja Oil, Babassu Oil, Monoi Oil and Cupuacu Butter. Despite the vegetable oils, each version of Nanoil also contains vitamins, substances that take care of the hair looks, sunscreen, and the substances preventing excessive hair loss. APPLICATION. 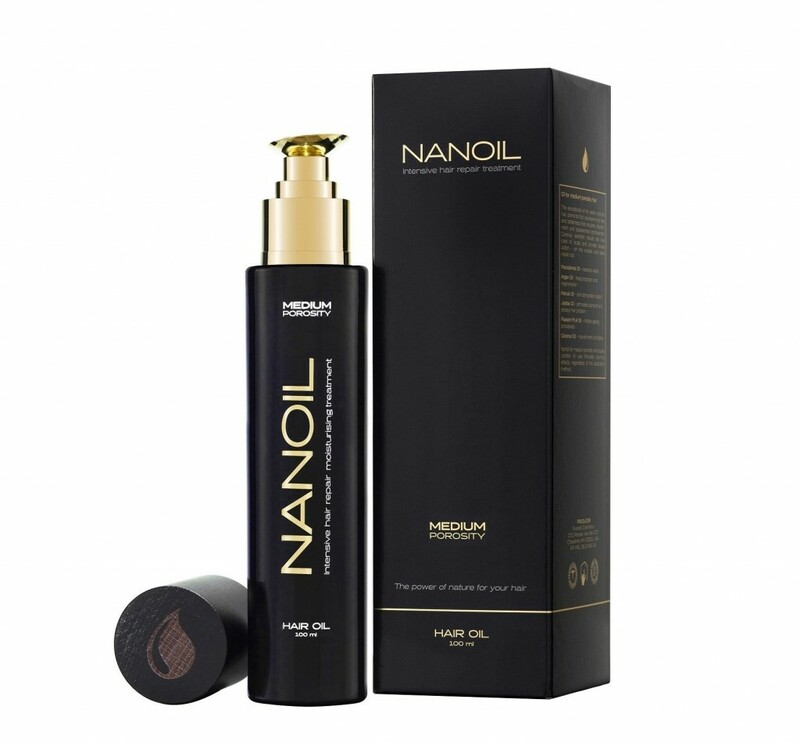 All three Nanoil oils are to be applied to dry or wet hair. You can use them as often as you only want to. Add the oil to your favorite hair masks or conditioners. Rub the oil into hair ends or massage it into the scalp. Nanoil can be used by men, too. When applied to beard or moustache, it will nourish and moisten the male facial hair. RUNDOWN. The greatest thing about Nanoil is the fact that there are three versions of the product; for low porosity, medium porosity and high porosity hair. Each of the oils is closed in a big, 100 ml bottle. The cosmetic doesn’t have any colour, yet is has a pleasant smell.